Cannabissearch.com Buzz Rating: This high starts with a warm sensation all over the body, that leaves users relaxed, but not couch-locked. A perfect strain to sit down, watch a movie and possibly drift gently off to sleep. Hawaiian Honey Purple came about as the result of breeding a Hawaiian Honey mother with a Grandaddy Purple father. The result is a strain with medium, dense buds that sometimes are purple and are always shrouded in tons of trichomes and short orange pistils. Once broken apart, these buds release a distinct grape aroma. Flavors include cough syrup and grapes with a distinct honey aftertaste. HHP is a strain that will grow brilliantly, whether indoors or outdoors and should be vegetated no longer than six weeks, when grown inside. Greenhouse cultivation is not recommended as this bud won't do well with humidity and will likely accumulate powdery mildew and/or bud rot. Gardeners are advised to grow these ladies in soil. 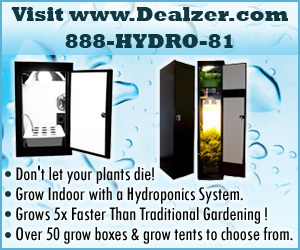 Outdoor yields regularly exceed three pounds per plant, while indoor growers should have no trouble pulling 12 or more ounces from each plant in a two-gallon container. Hawaiian Honey Purple 0 out of 5 based on 0 ratings. 0 user reviews.